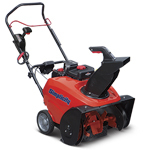 Be the envy of your block when everyone else is shoveling with your new Simplicity snow blower. 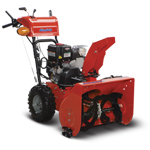 With models ranging from small single cycle snowblowers for light snowfalls to the larger heavy duty dual stage snowblowers there's a Simplicity snowblower to suit your needs. We'll help you decide which model is best for you. Recommended for small driveways and paths with light snow accumulation. 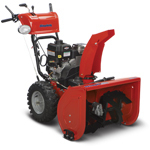 Premium single-stage snow blowers for small to medium paved areas with heavy, wet snow. 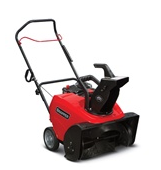 Ideal for medium paved areas and moderate snowfall. Premium care for large paved areas with heavy snow accumulation. Professional Power for Professional Jobs with blizzard-tackling performance.